Tag Archives for " Jon Acuff "
Turns out that the secret to finishing what you start is a lot about how you actually start. What your goals are, why you set an objective, how you design your habit changes are the keys to crossing the finish line. My guest for this week’s episode of the Duct Tape Marketing Podcast is Jon Acuff. He is a New York Times bestselling author of numerous books including, Finish: Give Yourself the Gift of Done. He and I discuss why so many people don’t finish what they start and what you can do to change that. For 18 years Acuff has helped some of the biggest brands in the world tell their story, including The Home Depot, Bose, Staples, and the Dave Ramsey Team. Most recently he spoke to hundreds of thousands of people at conferences, colleges, companies, and churches. Featured regularly on national media, Acuff has been seen on CNN, Fox News, Good Day LA and several other key outlets. Acuff is also a big proponent of social media with blogs that have been read by 4 million people and more than 275,000 twitter followers. Why should people cut their goals in half? What role does the fear of success play with reaching your goals? 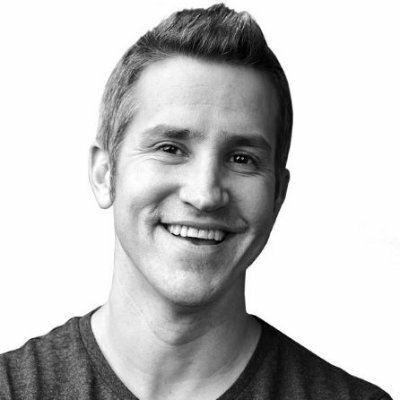 Learn more about Jon Acuff. Read the weekly Entrepreneurs Marketing Idea. Read Finish: Give Yourself the Gift of Done. Tens of thousands of businesses use Grade.us to harness the ‘voice of the customer’ to improve and market themselves. You can systematically drive customers to one conversion funnel that routes them to the review sites you care about and even guide unhappy customers to a service recovery while educating others through completing a review. You can also automatically ask, remind and guide customers through the process with email, text and print campaigns and see results with beautiful monthly reports that demonstrate reputational improvement alongside actionable insights into campaign data. Did I mention that you can choose which reviews to stream to your website or share on social media? Interested? Click here for your free, no-obligation trial. You don’t even have to give them your credit card information! Check it out.